Welcome to the Old Beacon Light Tower, Flamborough, United Kingdom. Build circa 1674 by Sir John Clayton, the Old Beacon Light Tower is the oldest surviving Lighthouse in England. 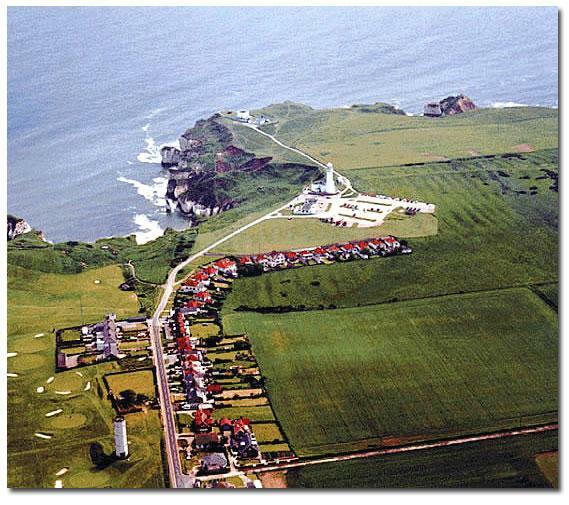 The 79-foot octagonal chalk structure, which currently stands on the grounds of the Flamborough Head Golf Course, was originally built as a Lighthouse, although recent restoration work has found no evidence that it was ever actually lit. 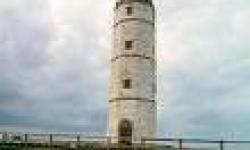 It was probably used as a beacon by day for mariners navigating the jagged coast of Flamborough Head. A newer Lighthouse built in 1806 stands nearby. 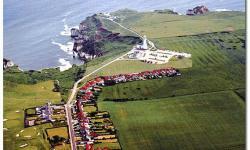 Flamborough Head has much to offer. The Lighthouse was built in 1806 by John Matson of Bridlington without the use of scaffolding, is 85 feet tall and stands atop a chalk cliff 170 feet high. Further back from the coast is the Old Beacon Light Tower, dating from circa 1674, and the only known example in England. 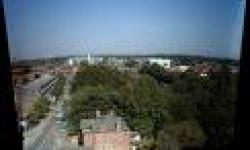 Recent restoration work has cast doubt on whether a fire was ever actually lighted atop the structure. It now stands, a gleaming monument to the rightful awe in which mariners beheld the jagged, dangerous coast. The firing of two rockets to signal a vessel in distress would bring villagers racing to North Landing to witness the launching of the Lifeboat, a sight not easily forgotten. The new lifeboat is now stationed at South Landing. Lifeboatmen in the village, instead of being summoned by the rockets, are now paged instead. The sea off Flamborough is the resting place of many ships, none more famous than the Bonhomme Richard, flagship of John Paul Jones, which was sunk after the first action of the fledgling United States Navy in September 1779.